Great for any Morgan Horse lover. 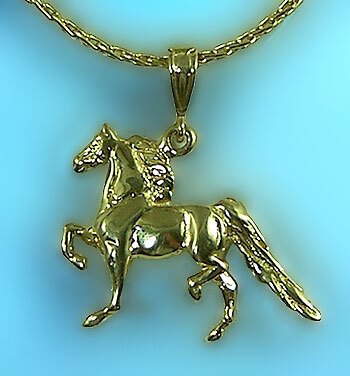 The Georgeous Horse is your number one place for custom Morgan Horse Jewelry. Check out this new three-dimensional Morgan pendant with exceptional detail, great for everyday wear. You can live in this one! Dimensions: 7/8 inches wide x 3/4 inches tall.